Welcome to Olympia! 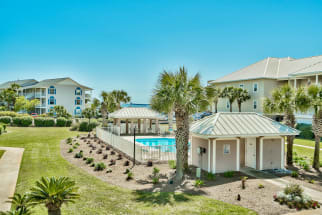 Located in Holiday Isle, Florida, these luxurious properties are located conveniently right along the coast of Destin! Emerald Coast by Owner is proud to be your premiere vacation rental service for the area, offering you elegant and comforting properties to satisfy your every need on this trip! Looking to spend this year's vacation relaxing or having fun Well here, both are very possible! Holiday Isle offers a variety of fun activities and attractions including paddle boarding, golfing, parasailing, deep sea fishing, boat tourism, jet ski rentals and much more! When it comes to relaxing down here, you’re still in good hands. Lay out on your balcony, the beach or even go to a nearby spa and treat yourself to the soothing experience that could make this the best trip yet! Worried about groceries and essentials Don’t be! There’s a variety of local grocers that carry just about anything you could want or need. As for the fast food or fine restaurants, this area is awesome! There’s delicious fresh seafood in a fun scene, a fine dining scene and many other food options! A few spots we recommend you try while here are Bud & Alley’s Restaurant, Cocoon’s Fine Foods and Copper Grill! You won’t regret a meal at any of these places! Relax in the perfect vacation rental with Emerald Coast by Owner. We are proud to offer the widest selection of vacation properties in Olympia. Click here now! When you book with Emerald Coast by Owner, we make it easy for you to choose where, when, and what you want to do on your trip. Contact us with any questions!